It can be tough to do without bread on a low carb diet. No bread means no sandwiches, no rolls, and no pastries…or does it? While this recipe is not a perfect bread substitute, it works for sandwiches, and with some Splenda, it makes some very satisfactory pastries. After they cool, they can be stored in a large zip-lock bag in the fridge for about a week. Since they are not actually made from grain, like bread, they shouldn’t be stored at room temperature. You’ll need two very clean bowls, preferable metal or glass. Separate the eggs and put the whites in one bowl and the yolks in the other. If you mess up and get some yolk into the whites, save the eggs for an omelette and start over. Add the 1/4 tsp of Cream of Tartar to the egg whites, and add the ricotta and appropriate seasonings to the egg yolks. 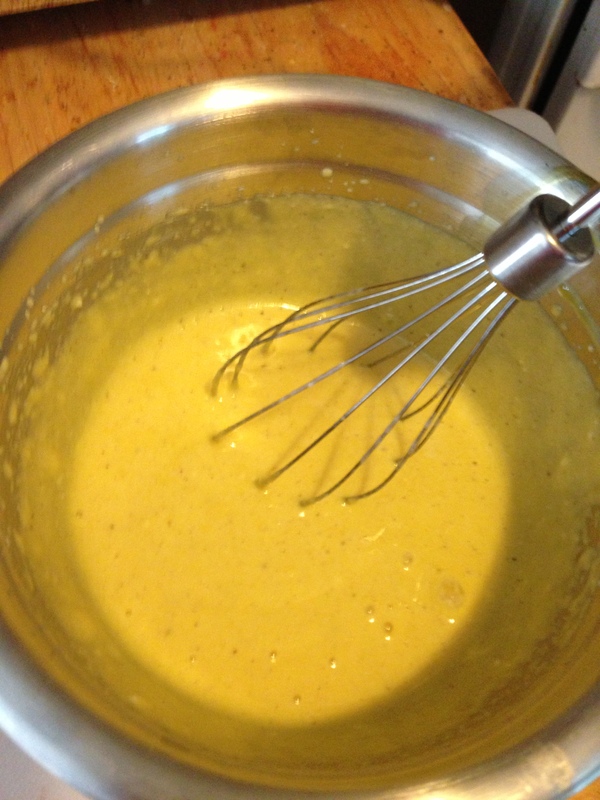 Use the same whisk to mix the yolks, ricotta, and seasoning. Just whisk them until well combined. 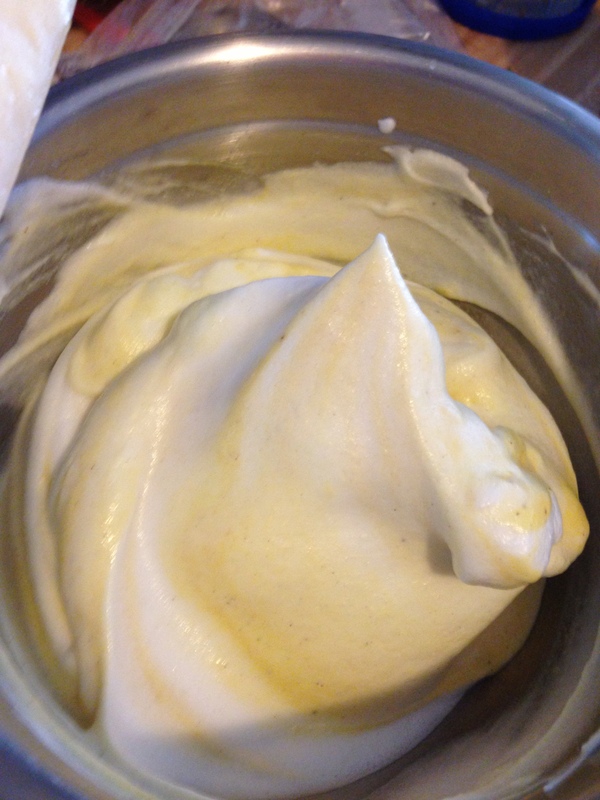 Gently fold half of the stiffened egg whites into the yolk mixture. 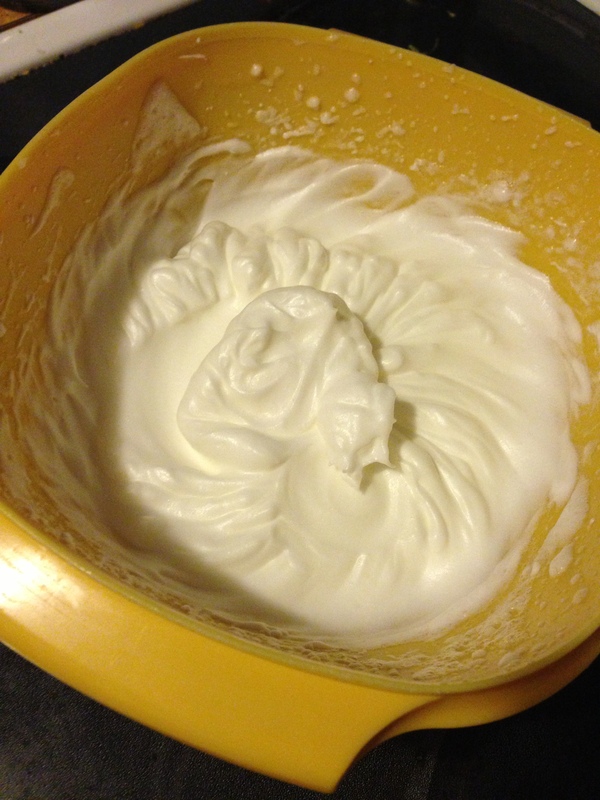 When they are combined, fold in the rest of the egg whites. 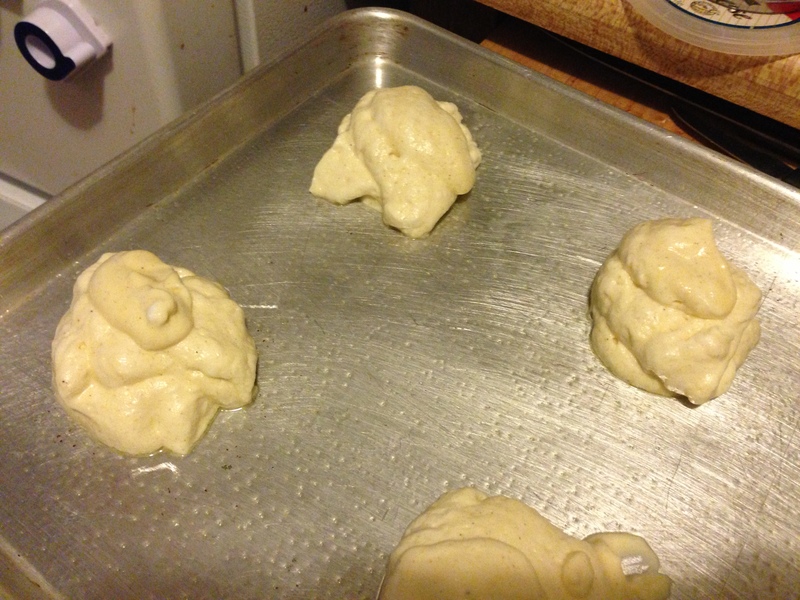 Try your best to not over-mix and deflate the whites. Coat a baking pan with the non-stick cooking spray. UPDATE: Forget about using the cooking spray! 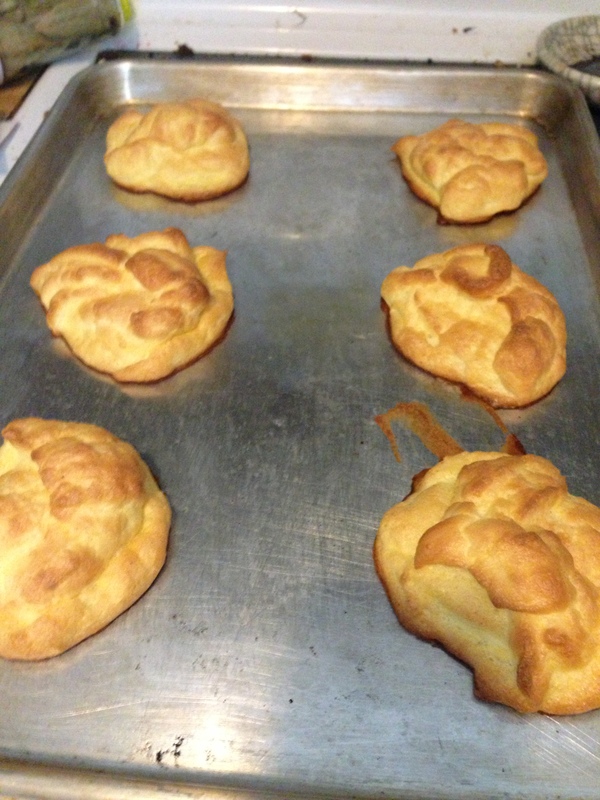 I have discovered that baking these on silicon baking mats, such as a Silpat or Artisan mat, is a FAR superior method. There’s absolutely no sticking, the bottoms of the rolls aren’t greasy, and the overall texture comes out so much better. If you don’t have a mat, try parchment paper. Using a spoon, make six piles of the mixture, adding one spoonful at a time to the top of each pile. Bake for 50 minutes at 300°. UPDATE: If you bake these on a silicon mat, reduce the cooking time to 40 minutes. I’m not sure why, but the mats make them cook faster. They should be golden brown when done. Check on them about 5 minutes to the end of the cooking time. They get really dry if over-browned. Remove them from the tray immediately and cool on a wire rack. Each roll has about 45 calories. If you use them for sandwiches, use one roll for the top and one for the bottom. I suggest using the bottom of each roll as the outside face of the sandwich. 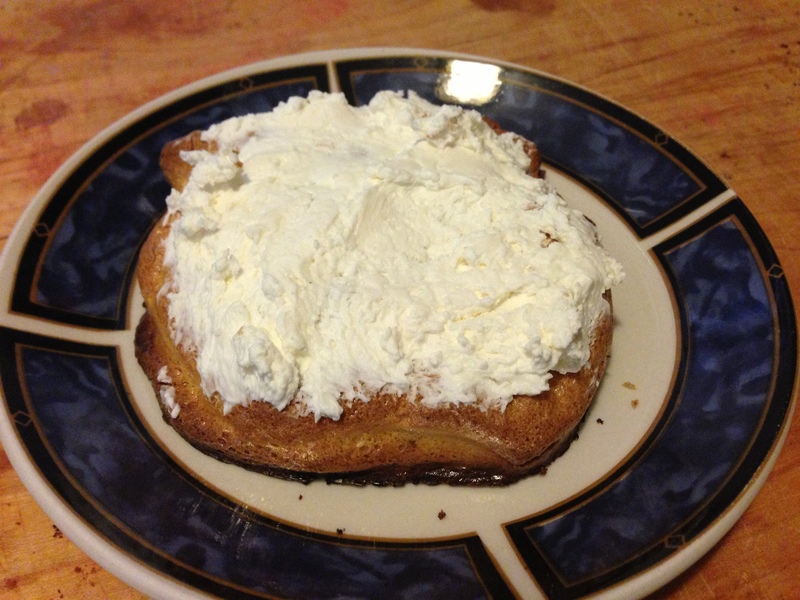 If you made sweet rolls, top each one with cream cheese mousse before serving.